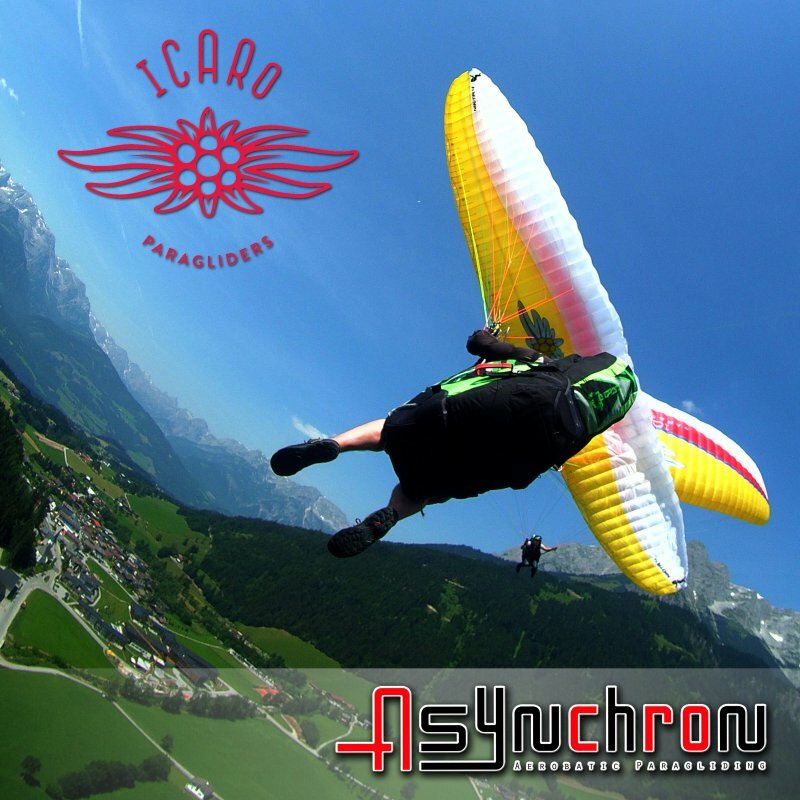 We are happy to fly now with our brand new Nikita 4 and looking forward to a successfull cooperation with Icaro Paragliders. 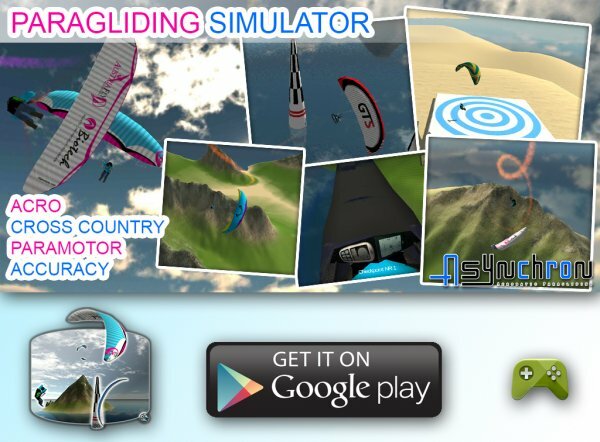 Finally it's done and the Paragliding Simulator is now available on Google Play. Meet and Greet in the Stubai Valley. Flying with friends having a nice weekend. Optional homemade legbag for the SupAir Acro3 harness. Most of the time I fly acrobatics. But sometimes I also go for some cross country flights. On this XC flights I always used my main harness, the Sol Slider Acro, and now the Supair Acro 3. So if you fly in Spring time at an altitude of 3000m and more with an acro harness, you have to wear the same clothes like you wear when you are skiing in winter. And even with this outfit you will freeze your feet off. On the starting place, while you are waiting for the right thermals for your XC flight, you will swet a lot. So what can you do against this? Right, get yourself an XC harnes with legbag! One of the reasons why I don't like to buy one of these harness is, that when i go flying I take nearly every part of my paragliding equipment with me, because you may need it?! With tandem pg + harness, XC wing, acro wing, speedglider, girlfriends pg, sometimes Phil's wing, ... it's a lot of stuff to carry around, even in a VW T5 Bus. I don't want to drive around another equipment. So I thougt it should be possible to design an optional legbag for my Acroharness. This project is not easygoing. I am no professional sewer or similar. I know a little bit how to handle the sewing machine. So if you want to try yourself out in making this legbag, you hav to see this "how to" just to give you some hints and not as a step by step guideline from zero to working legbag. I tried to make photos from every step I was doing, but sometimes I didn't think to make photos. so there is not every single detail, but a detailed overview of the whole project. If you ask for patterns, I have to disapoint you, because it was all made by adjusting and sewing.